Consider placing your family and friends in Eden history forever by purchasing an Engraved Block or Brick! Whether it is for your children, sibling, a loved-one that has passed on, or for yourself, it is a memory “etched in stone” that will last forever. 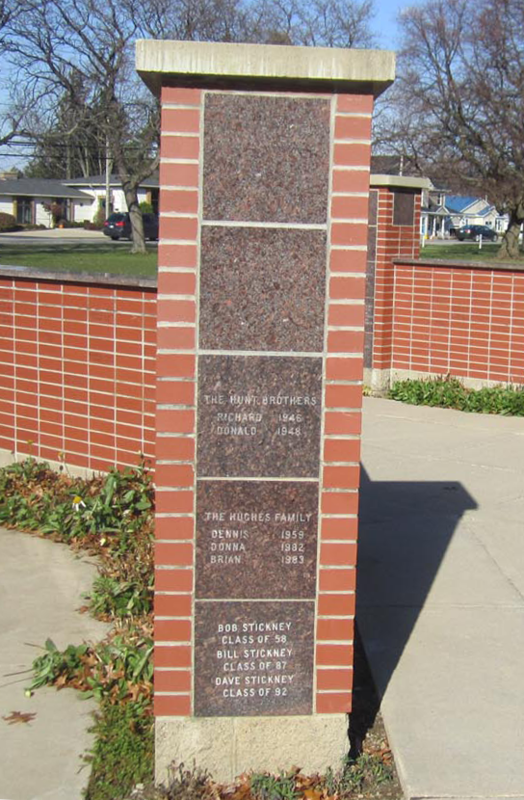 The Eden Alumni Wall is located on the front lawn of the Main Street School and are viewed daily by students, teachers, parents and visitors to the school and town. The Eden Alumni Wall construction was completed in 2004. There are still plenty of empty bricks and blocks that are available for engraving! 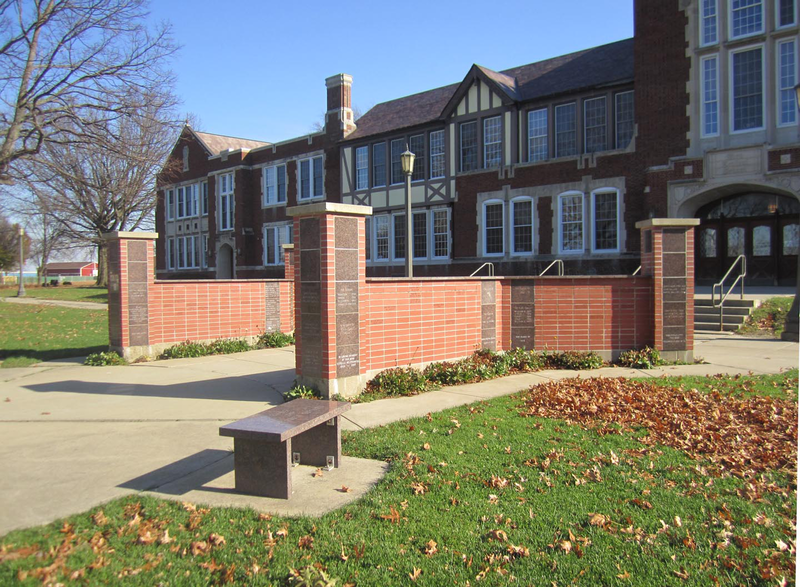 Eden Alumni, Faculty and residents have an opportunity to leave a lasting legacy on our school grounds by having their names permanently imprinted on a 3″ x 9″ brick or a 12″ x 12″ granite block. Attractively modeled and landscaped, viewers are able to read the names of alumni, residents and loved ones. Whether you live locally, out of town or simply want to leave a memorial for a past loved one, the Eden Alumni Memorial Wall is a perfect way to be remembered and to remember others. 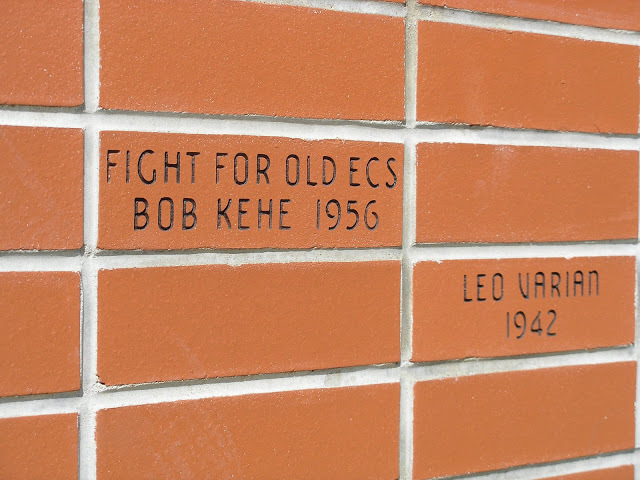 There were enough pre-sales to cover the cost of construction, and all of those pre-sold bricks and blocks are now engraved, embedded in the Walls and a permanent part of Eden Central School history. Now, all the funds derived from the sale of bricks and blocks (above the cost of the materials and engraving) will be placed in an endowment fund, the proceeds of which will be used to create more scholarships. These walls and the endowment fund they created will go on helping Eden students long after we are gone. What an opportunity to contribute to your school! Note: The funds donated specifically to the “Scholarship” and “Memorial” funds go exclusively to the Scholarship fund. All your donations to the Scholarship Fund, the Memorial Fund and the Alumni Wall by funding Bricks or Blocks are 100% tax deductible. Give a Gift to Your Family That Will Never be Forgotten!